Chamarajanagar: The Chamarajanagar District Manager and a First Division Assistant (FDA) of Maharshi Valmiki ST Development Corporation were trapped by the Anti-Corruption Bureau (ACB) sleuths when the duo were accepting bribe from a beneficiary here on Friday. 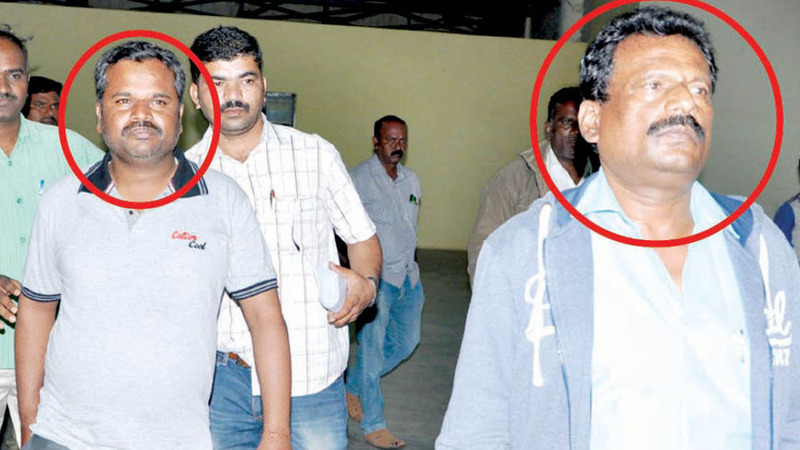 District Manager N. Kempaiah and FDA Prakash, were the ones who were trapped by the ACB. One Mahesh of Chamarajanagar had applied to the Maharshi Valmiki ST Development Corporation seeking subsidy for purchase of a car. But Kempaiah and Prakash had demanded bribe to release subsidy money of Rs.2.5 lakh, following which Mahesh agreed to pay Rs.7,000 to them. Later the beneficiary Mahesh complained to the ACB on the demand for bribe. As demanded by the duo, Mahesh paid Rs.7,000 as bribe at the Corporation office in the town, when the ACB Police caught Kempaiah and Prakash red-handed. The two were later produced before the Court, it is learnt.